Pack of 5pcs black 10cc EFD dispensing syringes. Pack of 5pcs black 10cc EFD syringes. 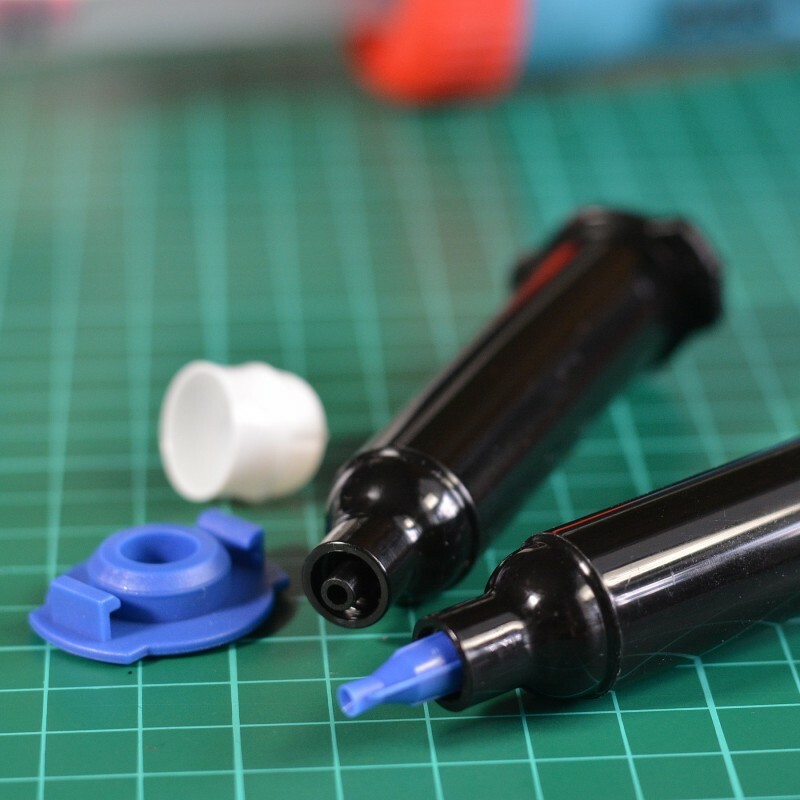 These black syringe barrels provide complete light blockage for light sensitive fluids and fully compatible with I-Extruder. They have a mounting hole inside the piston and could be screwed onto dispenser's lead screw. Also available in transparent plastic. 5 x 10cc syringe barrels. 5 x luer lock front caps.